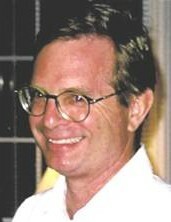 Kent Worthington is a writer, educator, businessman and investor. He lives with his family in Virginia. Worthington first took an interest in logic after a fateful encounter with the subject in college. There he saw that logic, while crucial in its purpose, was rife with inadequacy, error and irrelevancy. He resolved to, one day, find the time to solve these problems. Thirty years later, Worthington tackled the subject of logic. He discovered its inadequacies, corrected its errors and banished its irrelevancies. In 2003, he published How Ideas Work and created a revolution in logic. Today, Worthington is dedicated to re-introducing the subject of logic to the general culture and, in particular, to education. Logic as it should be...but never has been.